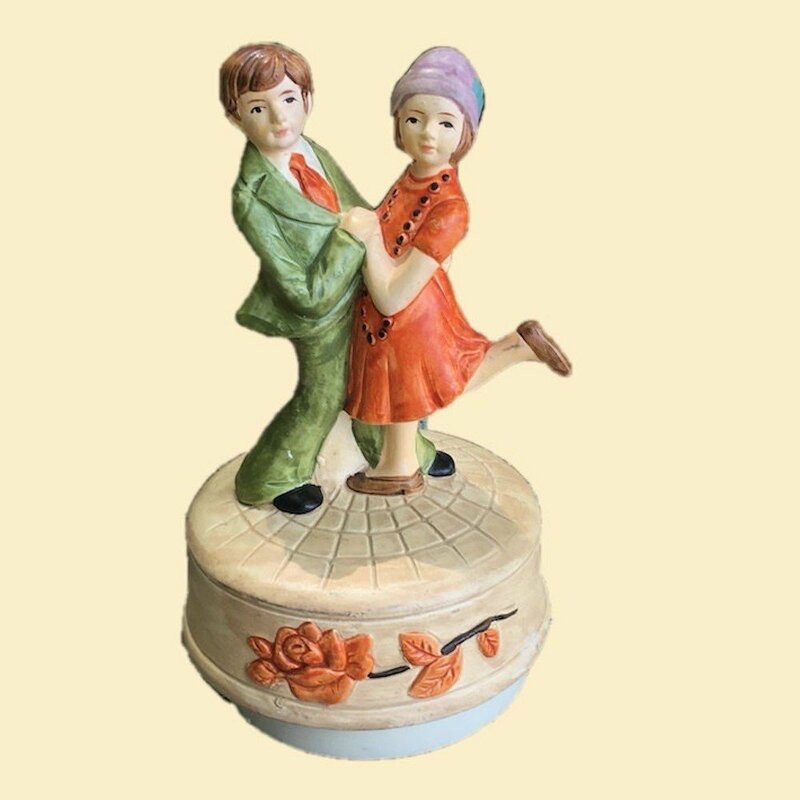 Vintage Dancing Couple Music Box Plays "Charleston"
Hand painted ceramic couple holds each other close for a dance, turning in a circle atop a flowered base. 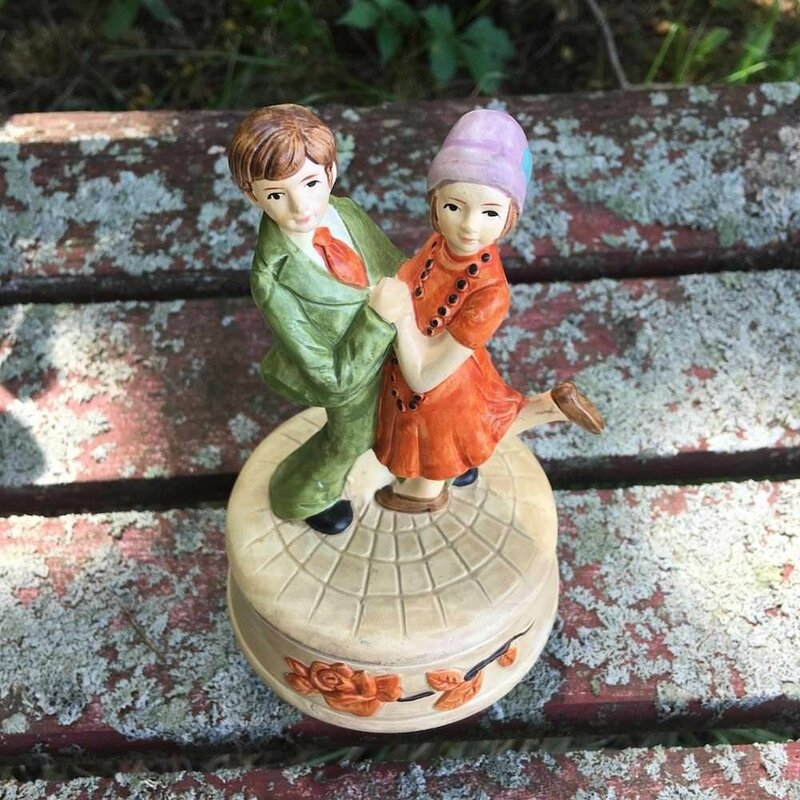 The piece dates to 1975 when it was made by Amico Japan, but the song and the dance that usually accompanied it goes all the way back to the 1920's. 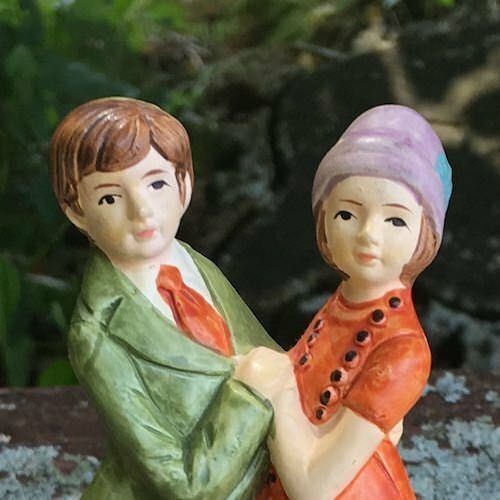 See video below to hear the music and see the action. 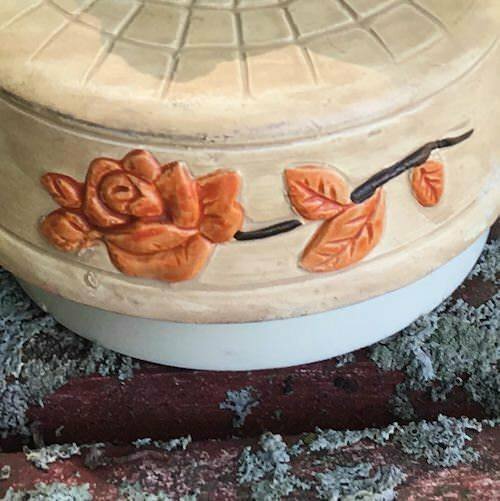 MATERIAL:Ceramic, Plastic winder, wood underbase.